America’s renewed interest in homebrewing has driven much of our renewed interest in beer. Many, perhaps most, of the people making beer at the over 4,000 breweries that now cover the country got their start brewing at home. But just as not every killer guitar player should leave their family to tour with a band, not every outstanding homebrewer ought to take up beer as a profession. Unfortunately though, that means many great beers aren’t getting shared with the world. That’s where Noble Brewer comes in. Launched in March, NB is a beer club that finds great homebrewers and then handles all the dirty work of getting their products to the public by sending out quarterly shipments featuring four 22-ounce bottles created from these amazing non-professional brewers’ recipes. How do they find these club-worthy homebrews? The company’s unique business model has garnered enough interest that homebrewers have been reaching out to them, but from there, submissions undergo a serious vetting process. Founder/CEO Claude Burns says the first thing they look for is an award winning product. “We use homebrewing contests as an objective measure,” he says. “We'll also use other objective measures such as if their beer was made professionally before or if the homebrewer has won a ton of other awards and wants to make something else.” From there, things get a bit more technical: They also want to be sure brewers are willing to share their story so “members know not only what they're drinking but also who made it.” The beer also has to be producible on a larger scale: “Homebrewers are extremely creative so sometimes they use techniques or ingredients that we wouldn't be able to successfully replicate at a commercial brewery,” says Burns. I was able to try two of their beers, and the products were much closer to a professional brew than your friend’s first stab at making a batch in his basement. The Dudeling California Farmhouse Ale was crisp, drinkable and perfectly balanced, especially for the sometimes volatile “farmhouse” style – a delightful creation from Jonathan Fuller of Underhill, Vermont. Meanwhile, the Robust Porter from Mike Riddle of Napa, California was what you’d expect from a man billed as a five-time California homebrewer of the year award winner: an expertly-crafted take on the classic dark beer. Noble Brewer definitely offers up an interesting one-two punch: Beers that are good, but also inherently unique to their club. 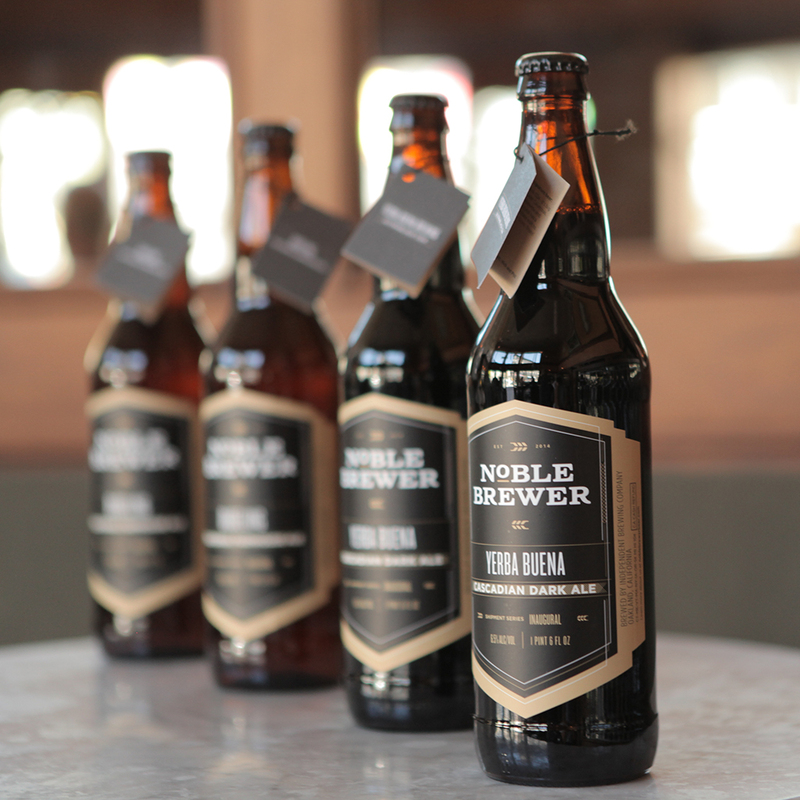 Noble Brewer plans on releasing their next round of quarterly shipment towards the end of December –right in time for the holiday season. If you’re looking for a unique gift for a beer-loving friend or family member, this club offers a little something more than one that just plucks random beers from around the country. And if you were debating between a subscription and or gifting some homebrewing equipment, at least with Noble Brewer you know the end result will be drinkable.